From Shakespeare in Topanga Canyon to an emoji art show to a festival dedicated to brunch, August is crammed with good stuff to do. Sing along to classics like “Eleanor Rigby” and “Lucy in the Sky with Diamonds” at this special showing of the Beatles classic at the Wiltern (there will be photo ops, a DJ, full bar, and food, too). The movie’s been restored in 4K for your most optimum viewing pleasure. The magical kook of Will Geer’s Theatricum Botanicum is the ideal setting for this classic Shakespeare play. Take a hit of that Topanga Canyon charm during a month of performances; make a proper evening of it by booking a dinner in the garden ahead of each August show. Before you write it off as another Instagram stunt, consider this: The purpose of this art show is to raise awareness for mental and emotional health. After stops in Atlanta, Philly, Brooklyn, and D.C., the event heads to Inner Space downtown—more than 20 artists showcase works inspired by a modern-day language all its own alongside live art, body painting, DJ sets, and emoji-inspired desserts. The popular artisanal fair returns to Central Park in Pasadena for a double-header of late-night shopping. Stop by to peruse jewelry, housewares, candles, and other goodies from more than 200 vendors. The Hammer goes to the dogs (in the best way) with a screening series inspired by man’s best friend. Festivities kick off on the 3rd with a Yappy Hour—there will be beer, wine, cocktails, and an adorable hoard of adoptable pups—with films showing in the weeks after. Don’t miss Christopher Guest’s perfect mockumentary, Best in Show, on August 22. Iron Triangle, Congregation Ale House, and dozens of others take over Boyle Heights for the inaugural iteration of this craft brew celebration. You ticket includes unlimited beer tastings, so be sure to visit the on-site food vendors between sips. 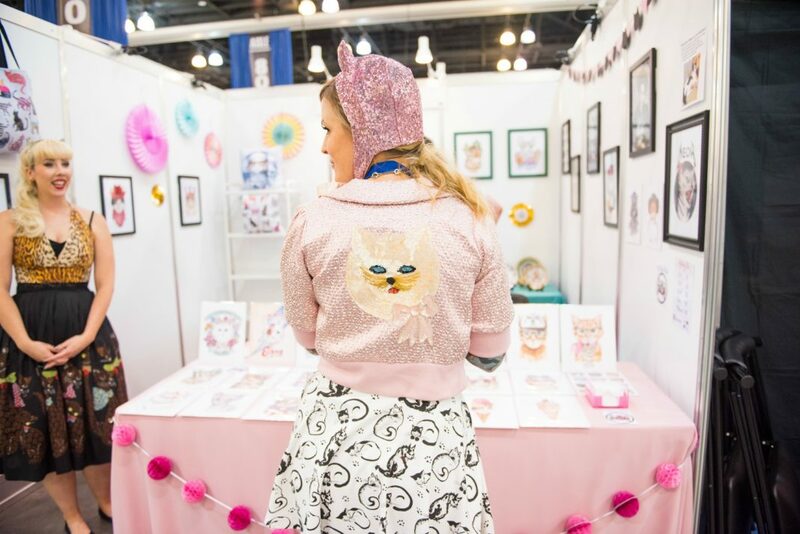 Pop culture and cat culture collide at the Pasadena Convention Center, where you can partake in meet and greets with cat celebs (Lil BUB) and celeb-celebs (Ian Somerhalder), sit in on kitty-centric seminars (“Cannabis and Cats: What You Need to Know Meow”), and more. The radio station’s Hollywood Bowl takeover continues. This month, Grammy winner Bon Iver (or Bonnie Bear, if the internet has anything to say about it) teams up with the contemporary dance company TU Dance for the West Coast premiere of their collaboration, dubbed Come Through. If meals could be city mascots, brunch would be L.A.’s. Enjoy the best parts of brunching without the three-hour wait at the Reef, where you get bites from more than 30 vendors (Beacon, Waffling Around, The Dirty Cookie), plus access to open Bloody Mary and mimosa bars. The L.A. Phil orchestra performs John Williams’s iconic score in tandem with the film at the Hollywood Bowl. Pro tip: Make a night of it by pre-ordering one of the Suzanne Goin-curated picnic boxes, which you can enjoy on the Bowl grounds before heading to your seat. The neighborhood concert returns for its eighth year with acts like Shannon Shaw, James Supercave, and Kolars on the bill. Stick around between sets to catch shows from Bob Baker Marionette theater, an art show at Rock Paper Salon, and a DJ workshop led by 13-year-old wunderkind Kai Song. Make your way to Moonlight Rollerway in Glendale by broom, Floo powder, Thestral, whatever: The L.A. chapter of Dumbledore’s Army is hosting their final Harry Potter Rollerskating Night. (Seven books, seven skate nights—see what they did there?) Throw on your best dress robes and skate along to music from the films (plus some muggle chart toppers) one last time. RELATED: August’s Best Showings of Classic Movies in L.A.